Search Engine Optimization, or SEO, is the combination of multiple strategies that increase the chances of your business being found online. SEO focuses on rankings in the organic, or non-paid, search results. Search engines such as Google, Yahoo, and Bing will produce a higher ranking for your business when following their algorithm. Most people only associate SEO with website optimization. In addition to the content of your website, the consistency of your online listings and the number of mentions about your business on social media sites are a few other important SEO factors. The majority of web traffic comes through search engines, such as Google, Yahoo, and Bing. Search engines provide targeted traffic, that is, people looking for what you offer, and search engines are the channels that make this happen. 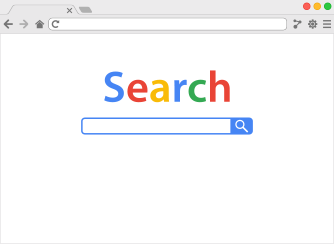 If search engines cannot gather any information about your business, you will miss out on opportunities for potential customers to find you. Google, Yahoo, and Bing are constantly updating their algorithm, and many business owners find it hard to keep up with Search Engine Optimization updates. Furthermore, they do not have a clear understanding of everything that goes into creating a comprehensive SEO campaign. Every business needs a unique Search Engine Optimization strategy, but the hardest part is determining exactly what your business needs regarding SEO. Because there are so many factors, it is very time-consuming to make it effective for your business. A great time to hire a search engine optimization specialist is when you need to increase your website optimization, promoting your business on social media, or starting a new business. That way, you can ensure your company will have a positive SEO, and potential customers can find you.